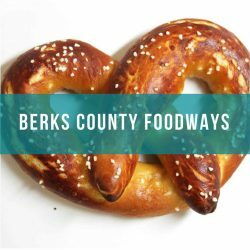 The Berks History Center invites you to celebrate the Foodways of Berks County with a year-long series of events and a digital community storytelling project. The Berks History Center is located at 940 Centre Ave. Reading, PA 19601. According to the Merriam-Webster dictionary, foodways are the “eating habits and culinary practices of a people, region, or historical period.” Throughout 2018, the Berks History Center (BHC) will explore this compelling human experience by focusing on the foodways that are important to the people of Berks County. BHC will do so through themed programming, including Second Saturday programs and the Berks History Conference, as well online communications. Second Saturday programs will include topics such as brewing history in Berks County, the history of culinary and medicinal herbs, butchering and traditional meat preparations and more. The BHC’s 3rd annual Berks History Conference on April 21, 2018 will feature 4 informative lectures by historians and food scholars on Berks County’s food history. Visit www.berkshistory.org for more information on BHC’s foodway-themed programs and events. In addition to events and programs, the BHC launched a digital storytelling project that aims to highlight the diverse culinary experiences and food traditions alive in Berks County. BHC will share local foodway stories, including stories from the BHC staff and the community, on their blog, e-newsletter, and social media channels (follow @berkshistory). The BHC invites the people of Berks County to participate in the storytelling project by submitting stories about their family food traditions. For example, BHC’s 1st Berks County Foodway story explored the personal history behind Education Curator Vicky Heffner’s favorite birthday dish: PA German Pig Stomach. To participate, send photos, recipes, information and video through the #MyBerksHistory project on BCTV’s SoLo app or email [email protected].